Generic Viagra is Now Available locally in Charleston S.C.! The Generic is very budget friendly compared to Viagra and Cialis. 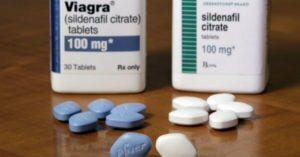 Both Viagra and Cialis can cost up to $50 a pill. The price for the generic? It’s only $4 a pill at Herold’s Pharmacy. If you have a prescription, you can fill it today locally at a fraction of the price of the little blue pill. Sildenafil is the generic form of Viagra. It is the same active ingredient as the brand with slightly different inactive ingredients. The generic no longer features the famous blue tint as the brand, it is now a little white pill. It treats erectile dysfunction, as well as high blood pressure in the lungs – also know as pulmonary arterial hypertension, just like the Brand. It does require a prescription, be sure to ask your doctor if this medication is right for you.